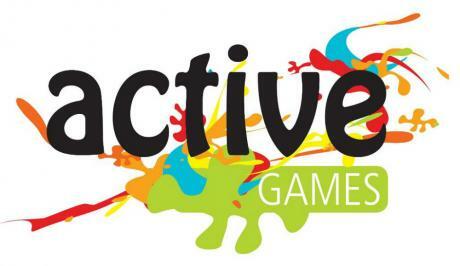 Thrill loves active games for all groups with a funtastic series of team building games and entertainment equipment hire with GIANT games for pop up picnics, business functions, carnivals, corporate events and activity groups. Work and office colleagues have awesome fun playing games in Sydney, Parramatta, Central Coast, Hunter Valley, Blue Mountains, Southern Highlands and Gold Coast to Brisbane. Thrill’s expertise in corporate fun entertainment, with friendly hospitality will create a brilliant carnivale atmosphere with games, set and match. We work with you to select the best game activities to be included. Then organise the itinerary, book the sites and venues. We take the stress out. By liasing with councils, access permits and the right venues. We send out invitations and encouragement to participation. Along with checklists of what to bring. As a special touch we develop a special web page that staff can interact at developing their team names, colours, themes and team chants. Visit here later for the photos, videos and highlights of the event. On the day of the event, our team of games staff arrive early to set up the site checking all facilities. A thrill host will meet and greet your employees, running through an exciting briefing when your company arrives and gets everyone in the mood for fun and shared laughter! Companies and groups are divided into equal teams and supplied with Thrill colour coordinated bandana strips. The games are commenced at the blast of the head referees whistle. Run as a round robin event. Each team has 9–20 minutes to score as many points as possible at each activity station or checkpoint. Teams get to show their talent, skills and determination. Accomplishing obstacle courses, fun sports, thinking games and puzzles or wild n whacky mania activities. Ultimately points are awarded for each round accomplished which Thrill or your own trustworthy staff score. We conduct awesome presentations Revealing the winners, champions, best and fairest awards, along with novelty prizes for spectacular incidents or giving it their best shot. Thrill supplies a personally engraved perpetual Championship Trophy and medals to highlight the best team. We have access to Australia’s only Giant Tsuanami Adventure Slide. Double the fun and with dual lane activities. Duel workmates on the Gladiator Dual Challenge. Race your way through Australia’s only Jurrasic Survivor Obstacle Course. Line-up for an incredible action team Big Foot Race or Colourful Run. Here is the activities list that will be the best active action corporate entertainment that your teams will experience. Team Pictionary where our host MC the evening or conference events. Training your staff become artists or mime to help their stick figure representations. Thrill Active Games and Entertainment Hire has a range of games available with flexible hire arrangements. We offer special multi-day hire and team building event packages. Providing superb corporate entertainment. The highlight at parties and corporate family days or big group events. Encouraging staff and friends to play whilst challenging minds and energising bodies in creative ways. Catering from yummy sausage sizzles and salads to delicious gourmet BBQ’s and buffets. Drinks. Both Alcholic and non alcoholic beverages. We match the right venue, parks, sporting fields and locations to make your event special. Facilitating brilliant games and activities that from our experience, staff love to jump in and give it a go! Friendly competition and team participation at all venues in NSW, QLD, ACT and VIC. • Permits with councils and communication with venue staff handled directly by Thrill. • Fun Hosts, Hosting and Coordination of the events. • Pack up, Bump Out and leave no trace except for the excellent photography, images and vidoes to share amongst work colleagues to relive the glory moments. Games equipment to hire with a free quote. Thrill entertainment events will achieve your corporate objectives at a sensible budget. Event costs with a professional thrill staff host start from $900-$1,500 gst exclusive. Costs are variable dependent on inclusions, venues and logistics. 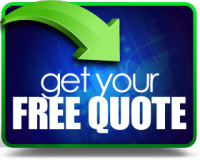 Please complete a Thrill enquiry free quote from below now, to see what free offers your business teams are eligible for.